Fun, educational Imagicards let kids interact with educational games using physical playing cards. If our house was burning down, my three-year-old would want to save his plush rabbit pal Deedee, our iPad mini 2, and as many Paw Patrol toys as he could carry. He loves playing games and watching videos on our tablet, and the toys obviously come in handy when he’s hit his screen time limit, but what he really loves are toys like Osmo, that let him use real-world objects and an iPad app at the same time. LeapFrog is combining a physical play experience with a digital app, offering three new Imagicard games for kids ages 3 to 8. Kids can use the cards to play a game on one of LeapFrog’s LeapPad tablets, using the tablet’s camera to “capture” the card in the game for an augmented reality experience. But if screen time is over (hey, that tablet’s got to recharge at some point), they can still use the cards to play other games totally offline. And if you don’t have your cards with you—say, you’re in the car and it’s not practical to spread out the play mat—digital versions of the cards exist inside the game, so you can keep playing. True to LeapFrog’s pedigree, these games are designed to be educational, developed with learning experts and thoroughly kid-tested. 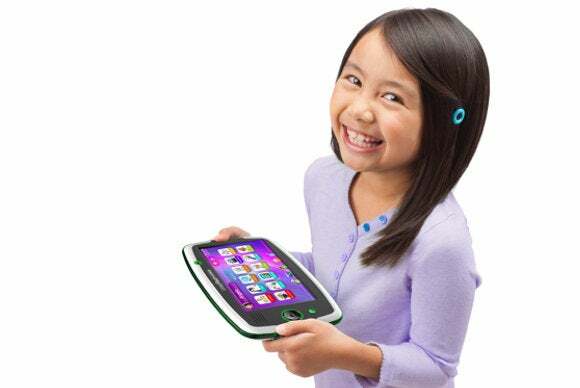 The LeapPad tablets allow every kid in the family to have his or her own account, so the difficulty level of each game matches the child’s ability, and gets harder as they play. Parents can get reports on how the kids are progressing, too. I got a demo of the Paw Patrol game, which comes with 30 cards in a little tin, along with a play mat. The play mat has spaces to stack the cards, sorting them into categories: Numbers 1–10, numbers 11–20, shapes, and characters (all the Paw Patrol pups, plus their human friend Ryder). The back of the play mat has info for parents, including instructions for the offline card games—and LeapFrog told me that in their testing, some kids invented their own card games too. You pick a character to play in the game by pointing the tablet's camera at one of these cards. On the screen, your chosen pup leaps off the card, ready for action! The companion app is a direct download for the LeapPad tablet, and when you fire it up, you’re in Adventure Bay, full of citizens in need of assistance, just like on the Paw Patrol show on Nickelodeon. 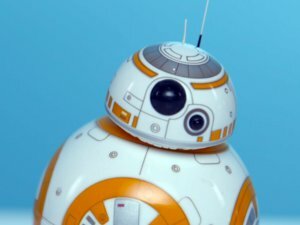 You’re prompted to pick a character, so you’ll choose a card, and scan it into the app with the LeapPad’s built in camera. Detection is automatic—kids don’t have to try to hold the tablet while pressing a button. Just aim the camera, and when the card is detected, your chosen pup leaps off the card and into the game, ready to help. This game teaches preschool math concepts, like number recognition and counting, aimed at kids ages 3 to 5. My pup, Zuma, was given a mission that required the “construction pup,” so I scanned in Rubble, who had to count how many things needed to be fix (three holes in a wall), so I scanned in the number 3, then smoothed out the holes with my finger. Mission accomplished. Each Imagicard pack comes with at least 30 cards, plus a metal tin to keep them in, and a foldable play mat. Kids also get to answer Paw Patrol trivia quetions, and take selfies with the characters, using the LeapPad’s camera. It’s all very cute, and my three-and-a-half year old could surely figure it out without help—there’s no reading required, and plenty of clues to be found by tapping the red question mark. 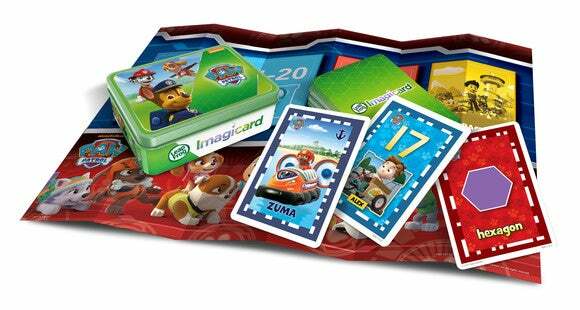 Imagicard games will come out in August, for $24.99 each, which is the same as typical LeapPad cartridges. Paw Patrol teaches preschool math to kids ages 3 to 5. Kids 4 to 7 can play LeapFrog Letter Factory to learn phonics, letter blends, consonants, and sight words. And kids 5 to 8 get a Teenage Mutant Ninja Turtles game with more advanced math concepts such as fractions, multiplication, and division. Imagicard games require a LeapPad, LeapFrog’s special tablet built just for kids. They are backward compatible to every version except the very first one released in 2011. 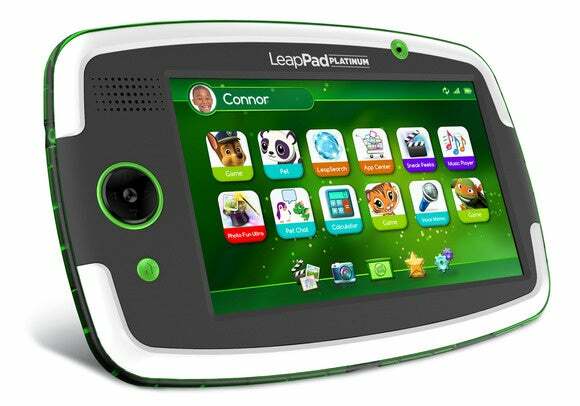 But LeapFrog is also releasing a brand-new tablet, the LeapPad Platinum, launching this July for $130. The LeapPad Platinum won't run Android or iOS apps, but it's made just for kids and everything on it is educational and family-friendly. LeapPad Platinum is built tough for kids, with a shatter-resistant screen and a newly reengineered frame that was tested by tossing it down the stairs at LeapFrog HQ, among other torture tests. The 7-inch multitouch capacitive touchscreen has a resolution of 1024x600, so it’s not true HD but pretty close. It sports the same quad-core processor (the proprietary LF3000) from its predecessor the LeapPad 3, and has Wi-Fi, as well as USB for charging. Kids can play LeapFrog games from cartridges, or downloaded from the LeapFrog store—which requires a parent account, and there’s no in-app purchasing or advertising, ever. It also has LeapSearch, a kids-only web browser that’s entirely hand curated with kid-friendly games, videos, and stories. 8GB of built-in memory should store plenty of games, and it has two cameras. Parental settings have been improved, so you can fine-tune what your kids see in LeapSearch, how long they’re allowed to play, and more.